Getting a microscope to work can be frustrating. Below are a few pointers on how to troubleshoot some areas that might be causing you microscopy grief. The height of your condenser may be set too high or too low (this can also affect resolution). 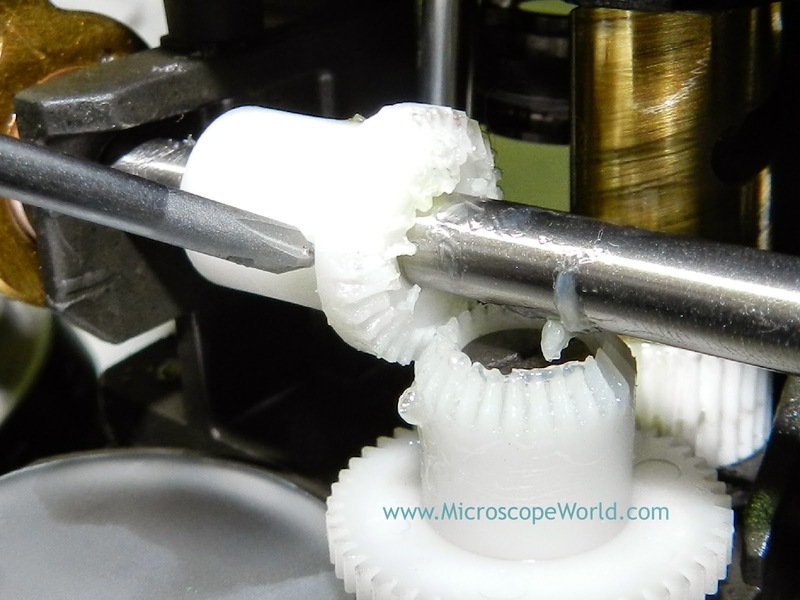 Make sure that your objective lenses are screwed all the way into the body of the microscope. 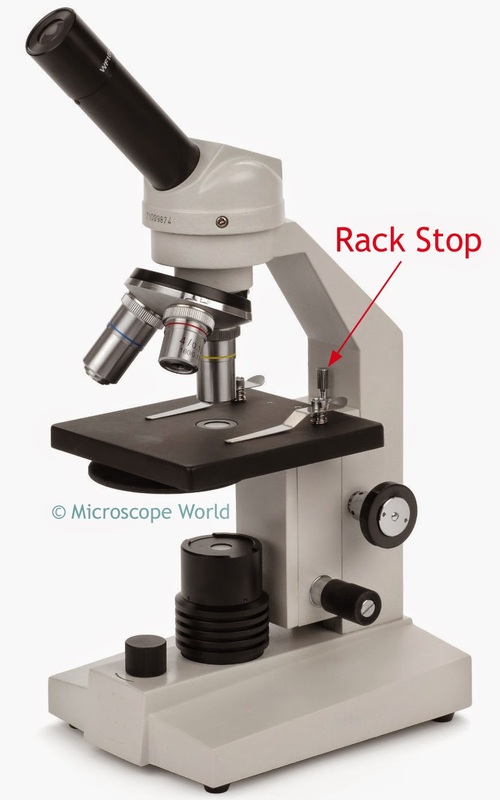 On high school microscopes, if someone adjusts the rack stop, the microscope will not focus. The microscope rack stop is in place in order to prevent the lenses from slamming into the microscope stage and breaking. However, if it is out of place it will prevent the microscope from focusing properly. 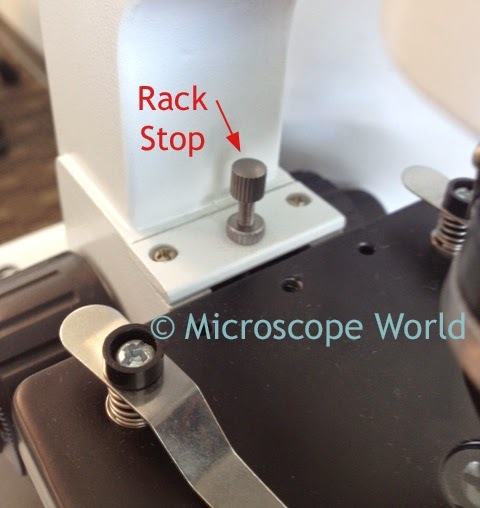 Rack stop on high school microscope. 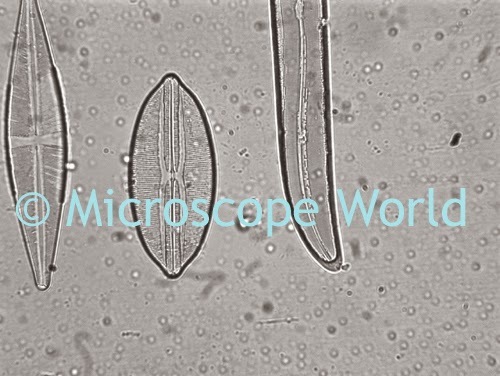 If you are using a stereo microscope and can't get your image into focus, the body of the microscope is either too far away or too close to your object. 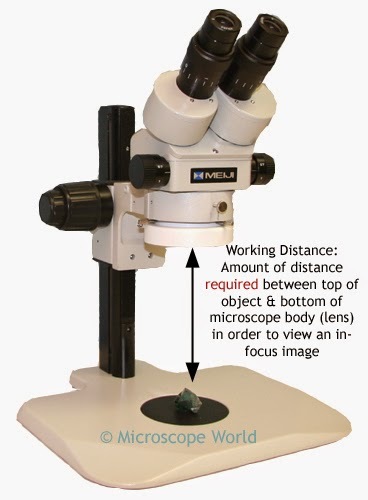 If you know the working distance of the microscope, this is the distance that is required between the lens of the microscope and the top of your object in order for your sample to be in focus. If you can't see an image in the microscope camera, or the computer your camera is hooked up to only shows a black screen, make sure you pulled out the beam splitter on the microscope. The beam splitter sends light from the microscope eyetubes and directs it up to the camera. Most microscopes have an on/off switch as well as a rheostat control. Make sure the rheostat is turned up. Many times the microscope is turned on, but the rheostat is off and won't allow light to pass through. Is the field iris opened up? Is your fuse burned out? Is your microscope bulb burned out? If you're using a cordless microscope, has it been charged? Stereo zoom microscopes adjust the magnification when the zoom knob is turned as gears inside the microscope turn. Over time and extended use these gears can sometimes become stripped. 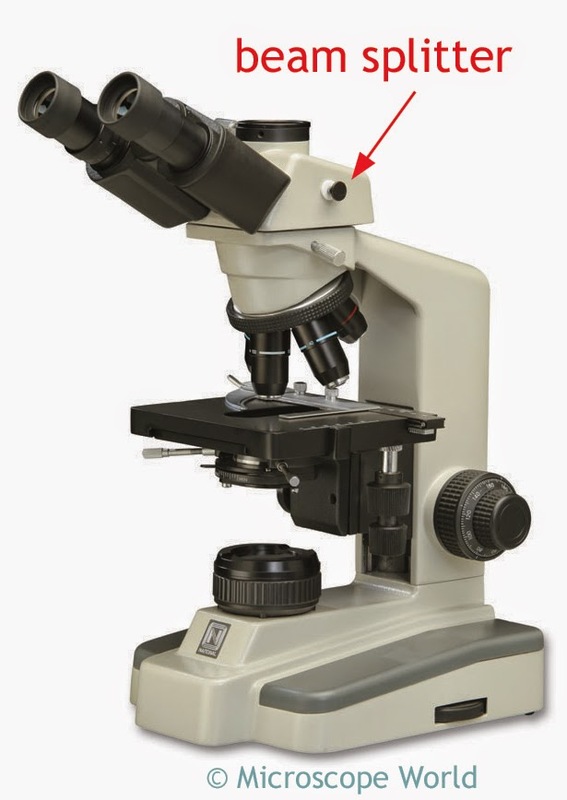 Below is an image of a stereo zoom microscope where the zoom magnification gears became stripped and the microscope would no longer change magnification. This type of problem requires professional technical repair or replacement. Contact your microscope manufacturer. Internal stripped gears on a stereo zoom microscope. 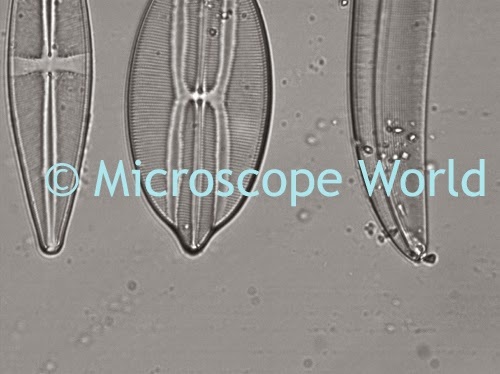 Dirt on objectives, eyepieces, or in the internal parts of the microscope can result in microscopy images that are less than ideal. In order to determine which part of your microscope is dirty, and ultimately which parts you need to clean, follow these guidelines. Look through the microscope while turning the eyepieces. If the spec of dirt moves, clean your eyepieces. (View cleaning tips here). While looking through your microscope, move the slide on the stage. If the speck of debris moves, your slide should be cleaned, or your sample replaced. If you have adjusted both the slide and the eyepieces and the speck of dirt does not move, clean your objective lens. Especially if you are using a 100x oil immersion objective, many times oil and dirt will build up on the objective. Microscope cleaning supplies can be found here. When your microscope is not in use cover it with a dust cover. Store the microscope in a cool, dry place. 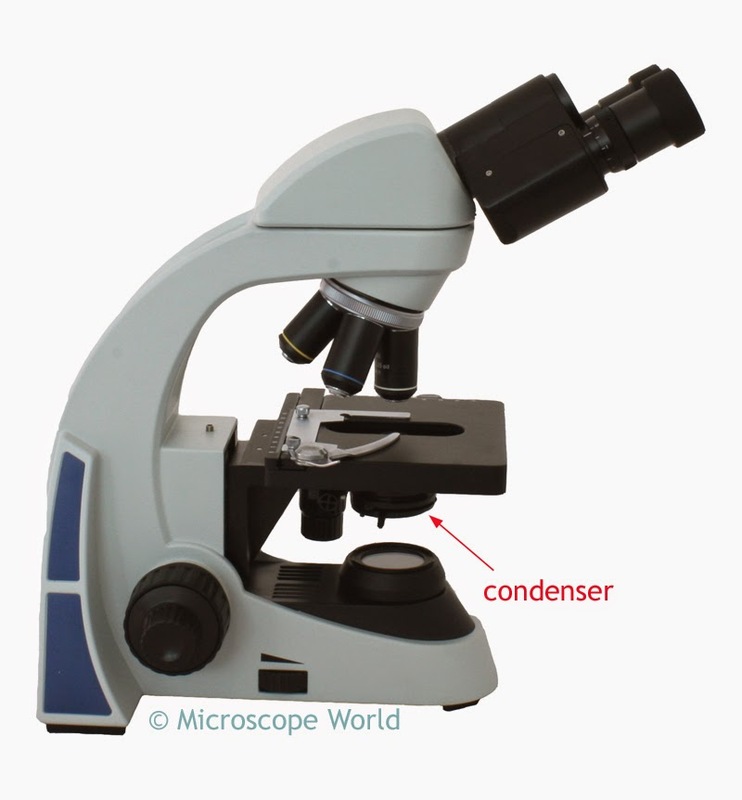 If you are having trouble with your microscope and can't figure out why it is not working, contact Microscope World.